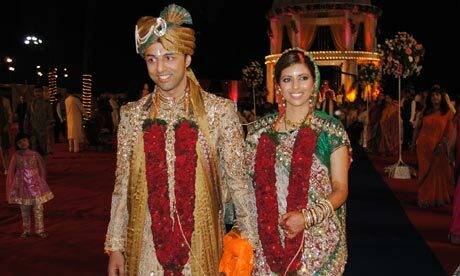 Shrien Dewani, the British man facing charges of murdering his wife on honeymoon in South Africa, has lost his appeal to block extradition there (so far three men have been convicted in South Africa over Mrs Dewani’s death). The Court ruled that it would not be “unjust and oppressive” to extradite him, on condition that the South African government agreed to return him to the UK after one year if his depressive illness and mental health problems still prevented a trial from taking place. The factual background and the main arguments in these proceedings are set out in my previous post on the earlier high court hearing of his appeal from the chief magistrate’s extradition decision. In that hearing, the Court ruled that there would be no violation of Articles 2 and 3 of the Human Rights Convention by reason of the prison conditions in South Africa. However in the light of his medical condition the court concluded that it would be unjust and oppressive to order his extradition by reason of the provisions of s.91 of the Extradition Act 2003. Is a person who is currently unfit to plead “an accused” for the purposes of s.70(4)(a) of the 2003 Act, if he is being extradited in circumstances where he may remain unfit to plead? Is it unjust or oppressive to extradite a person who is agreed at the time of the determination to be unfit, whatever the prognosis? In answering that question, are the procedures in the requesting state in relation to fitness to plead relevant? The appeal was therefore re-opened so that they could address these two issues. Experts on both sides were agreed that the appellant was unfit to stand trial and would remain so for some time at least. The main issue as to his fitness for trial was his hyperacusis (a hearing disorder similar to tinnitus) and problems with concentration. But the doctor representing the South African government maintained that the extradition proceedings were themselves a factor helping to maintain the appellant’s illness. Delaying extradition would not, in his opinion, help. There were advantages in progressing extradition and a trial. The appellant’s expert was of the view that, if the appellant went to South Africa and did not improve, he was at risk of being chronically severely ill and chronically unfit to plead. It was submitted on behalf of the appellant that where a person was currently unfit to plead in a criminal trial it could not be said that the extradition request had been made for the purpose of being prosecuted for the offence and the requested person was also therefore not “an accused” within the meaning of the Act. The law in South Africa on fitness to plead proceedings is broadly the same. If a person is deemed unfit to stand trial, but is held to have committed the act, his detention is not detention after conviction, but civil detention by reason of the person’s mental condition. A person would only be an “accused person” whose extradition was required for the purposes of prosecution if that person, at the point of time when he was to be extradited, was either fit to be tried or his fitness legitimately disputed. Under the law of South Africa and the law of England and Wales a procedure to determine fitness to stand trial does not constitute the determination of a criminal charge and the resulting detention is not punishment. In this case, it was argued, the appellant was a British citizen with no links to South Africa other than his visit there during his honeymoon. It would be wholly inappropriate for him to be returned to indefinite preventive detention in South Africa separated from his family, doctors and support network. The South African government contended on the other hand that it had always been clear that the South African authorities wanted to prosecute the appellant for the offence of murder. The fact that in the course of the proceedings an issue as to his present fitness to plead might arise did not alter the fact that he was accused of the offence and the request had been made for the purpose of being prosecuted for a criminal offence. Moreover, the question of whether a person is unfit to plead was in principle a matter for the courts of the requesting state. Issues of fitness to plead were issues that arise in the course of criminal proceedings which have been instituted with a view to prosecution, to determining guilt and, where guilt is established, to imposing punishment. The potential application of procedures for examining whether a person is mentally unfit to stand trial and, if so, whether it is established that he did the acts alleged against him in the criminal charge, did not mean that a criminal prosecution and subsequent trial was not being not sought at the point of extradition. It followed therefore the risk that on return and due inquiry a person might be found to continue to be unfit to stand trial did not mean that he was not an accused person or that the request for his return had been made for any purpose other than that of being prosecuted for the offence. Nor did the fact that he may presently be unfit have that consequence, provided that there was a real prospect that the unfitness was not permanent. There was no reason to doubt that the government of South Africa genuinely sought the appellant’s return for the purpose of prosecution, or that there was a well-developed procedure under the law of South Africa to ensure both a fair trial and fairness to a person charged with a crime who was alleged to be unfit to face trial. The appeal on the first question therefore failed. As to whether it was “unjust or oppressive” to extradite a person who is agreed at the time of the determination to be unfit, there were no hard and fast rules for this kind of determination. The only situation in which a court would most probably say it would be oppressive and unjust to return him is where it was clear that he would be found by the court in the requesting state to be unfit to plead. In such a case it would be unjust and oppressive to return that person: see Woodcock v Government of New Zealand  1 WLR 1979 at paragraph 20, Knowles at paragraph 31 and Gomes v Government of Trinidad and Tobago  1 WLR 1038 at paragraphs 31-36. In the event of the appellant being found unfit to be tried, he will be free to return to the UK, unless there is found to be a realistic prospect of his being tried within a year (or other stated reasonable period) of that finding and the trial takes place within the period. In any event the appellant must be free to return in the event a Court in South Africa, having found him unfit to be tried, embarked on the process of determining under the Criminal Procedure Act 1977 whether he did the act. The death of the appellant’s wife Anni occurred over three years ago. The interests of justice, including the interests of her family who like other families of murdered persons wish to see a trial take place as soon as is practicable, require expedition and that there should be no further delay, provided that proper protection is afforded to the appellant in the manner we have set out. Tiny cells, violence and language barriers: the life of a European prisoner?